My Greek Home, and a Giveaway! Friday, for lunch. I was toting both kids and meeting two people. At Nabeel’s, of course – there’s a booth in the back that is basically my own personal conference room. The restaurant was buzzing, people in every dining hall, salads stacked and ready to go out from the open kitchen. But Lynne saw us, pointed back to my booth that I’m sure was still open because, well, it’s MINE, and told me she’d get Noah a high chair. She came back with the chair and handed me something wrapped and taped into a piece of receipt paper with “Noah” written across it. I opened the paper package – it contained one of his Hot Wheel cars. Noah’s eyes lit up, and he immediately stood up in the booth (because I hadn’t chained him into the high chair yet) and began driving the car on the high-backed wall, perfect for automotive escapades. Everyone needs a place like this. A place where you’re home. A place where you’re treated like family and royalty all at once. As we were enjoying our lunch meeting (i.e. 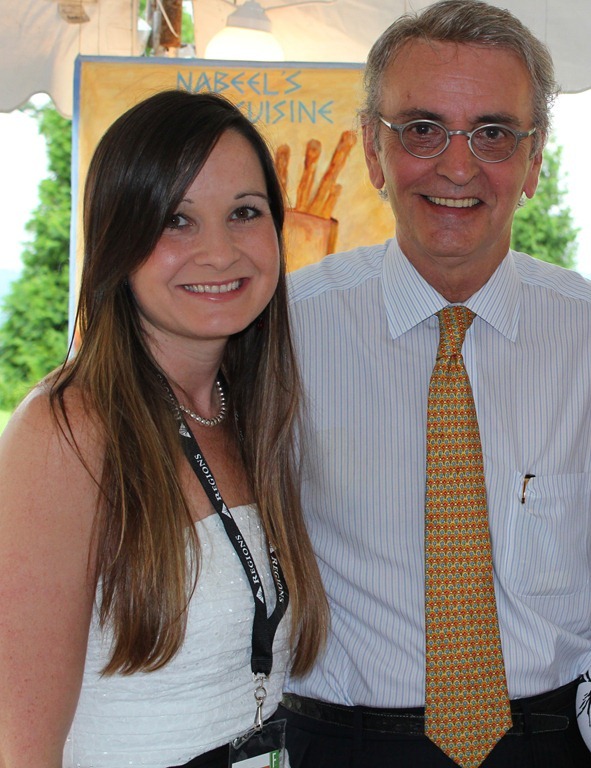 as I was wrangling my children in the attempts to eat and meet), the owner, John Krontiras, arrived for the day. He walked back to our booth with a huge, excited smile on his face. John brought me back two copies of his cookbook, both signed. He proudly showed me the beautiful pages, included amazing photos taken by local photographer, Karim Shamsi-Basha. 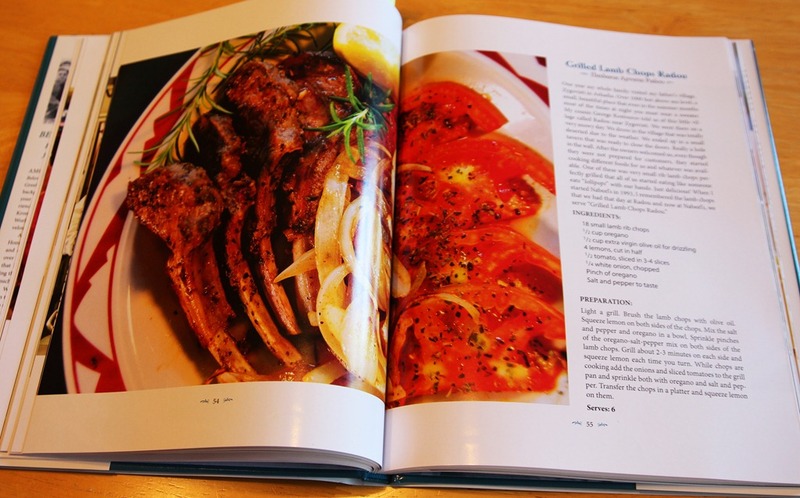 I took my cookbook with excitement, and found time to look at every photo that afternoon. As I was doing so, I noticed that John had a small story with many of his recipes, and knowing him, I couldn’t wait to read them. So Saturday night, while Chris was enraptured with the football game, I did something I’d never done before: I read a cookbook from cover to cover. I marked the pages of the first things I wanted to make: Zucchini Patties, Meatballs Avgolemono, Chicken Wings with Potatoes, John’s Famous Steak, and most definitely Tabouleh, because Nabeel’s is the only place that does it right. He even included the recipe for the best hamburger in Alabama, his trademarked Bifteki. The bonus dialogue was fascinating, from stories of growing up in a small town in Greece, to traveling internationally while he was the head of the IT department for a large corporation, to his Mother-In-Law cooking Italian dishes in his kitchen in the early morning before he was awoke. Because you see, John is Greek, and he married Ottavia, an Italian. So this cookbook is part John’s Greek recipes, part Ottavia’s Italian recipes, and part the mixture of the two together. Before we left the restaurant that day, I questioned him. Clearly, John likes the dramatic. 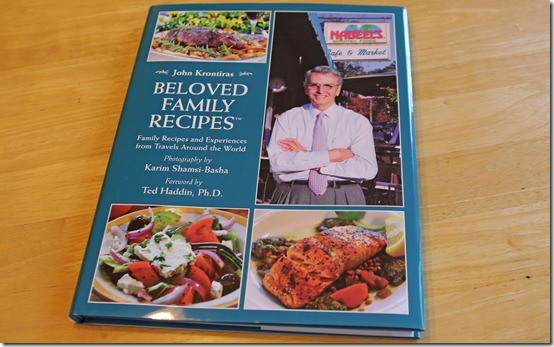 John’s new book, Beloved Family recipes, is available online, at Nabeel’s, Alabama Booksmith, The Fish Market Downtown, Sweet Tea Restaurant, and Little Professor Bookstore. And if you would like to meet this fabulous man (which you totally should), John will be signing his book at the Homewood Public Library on Sunday, 10/28 from 3-5 pm. But if you’d like to win a signed copy, I have one to send to one of you! If you would like to enter to win, leave a comment and tell me your favorite food ethnicity or favorite ethnic dish. This giveaway will be open until Monday, November 5. I will announce the winner Tuesday, November 6 on my Giveaway Winners Page. Disclosure: I was given a copy of this book. But that’s not why I write about it – I love Nabeel’s with all my heart, and you will find me in there at least once every other week. If you need more proof of my intense love of Nabeel’s, you can read my prior swoonings here, here, and here. Next Post Secondary iPhone, With Wheels. Previous Post Reasons To Do Life In the Wild. I love Lebanese food….well most Mediterranean food really. Love hummus and fresh hot pita….. I too love to read a cook book from cover to cover…. Thank you for the chance to win a book so obviously created with love and passion. I’m sad to say that I have not yet found my favourite food. It used to be a grilled cheese sandwich (on white bread with processed cheese) and a freezing cold glass of milk; but I seem to have outgrown that. I love Greek food. My favorite is probably Pastitsio before I had to give it up when I had to go gluten free but I love Gyros, Spanokopta, Bakalava, any Greek Cheese or olives. I also love Mexican food but I mean authentic mexican not Taco Bell (not that I don’t eat there too). I had the best Mexican food ever in San Antonio. My favorite being enchaladas. How cool! My favorite food ethnicity is southern soul food. Does that count? Nothing beats fried okra, black eyed peas, collards, casseroles of all types & lots of cake! Besides southern soul food I also really like Italian food. You can’t really beat a good old fashioned plate of spaghetti! Mmmmm! I love Italian food the most! I love a little bit of everything food-wise — there is at least something good about every type of cuisine. I really love cookbooks that include stories. I grew up poring over the Betty Crocker cookbook that my parents received as a wedding gift in 1962. It had tiny little stories about the origins of some of the recipes. Like Laura said, you cannot beat food from the south <3. My absolute favorite thing to eat would have to be anything BBQ'ed. Yum! We live up north and look forward to winter break in Florida every year…..we are now thinking of driving because I want to stop at Nabeel’s! I figure I can go there twice that way! 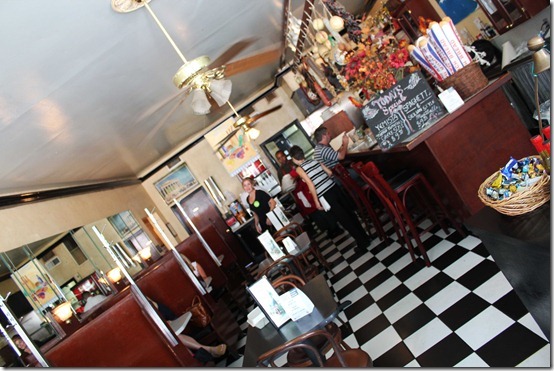 I love the look of the place too with the booths and great black and white tiles. I had a Greek roommate in college (her mothers name was actually Aphrodite) who was always putting nutmeg in places it had never gone before ……and when we got done being critical and ate her food ….it was awesome. Last year my dh and I were in Greece and enjoyed “real” Greek food. Our worst meal there was when a hotel wanted to serve us Americans and made us “grounded meat” and lots of it. Two giant patties of something soaked in gravy. Oh yuck. I went back to the appetizers for more spinach and cheese pie. There were so many kinds of food with wonderful spices and hundreds of types of baklava and other desserts dripping and covered in honey! 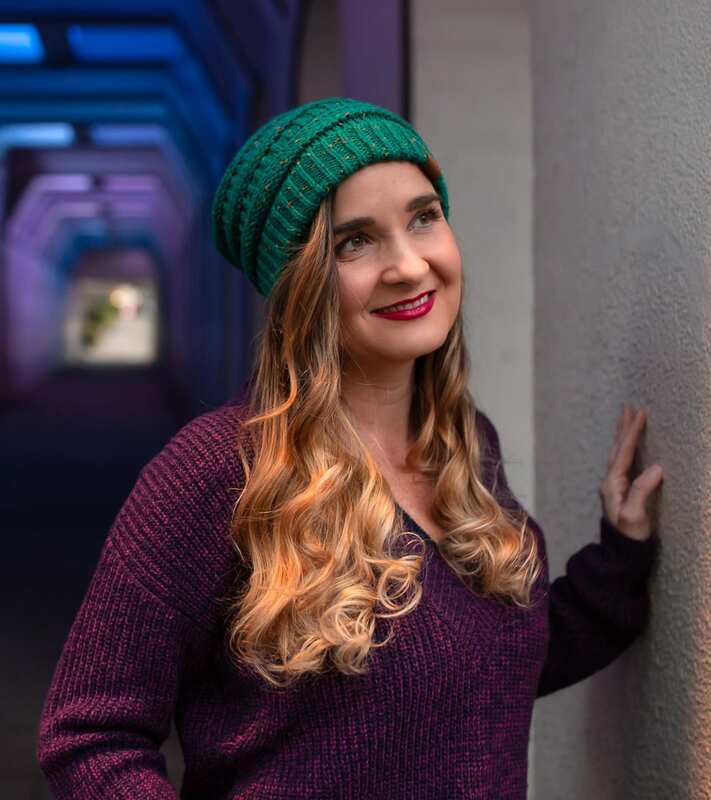 Let me know if you do – I’ll meet you there! It’s worth the detour. I’m not sure that I can pick a favorite. I love good Indian food, but Italian is also great. When I was living in NYC I used to go to this AWESOME restaurant that was French Senegalese food. My favorite ethnic food? How about ALL food!!! :-D I find it impossible to choose because there are things I adore about every one. I love the spice and fragrance of Thai, I love the freshness of Vietnamese, I love the creamy curries of Indian, I love the elegance yet homey feeling of Italian, I love the flavor and fun of Greek, I love the comfort factor of good Mexican, and I love all regional cuisine of the US of A. I’m a food junkie. Food and clothes. Those are the two things I’m willing to spend major moolah on. My favorite-everything I have ever eaten at Nabeel’s. The pita with dip, burger, and ashamed to say things I do not remember the name. I really NEED this cookbook. I love Indian food. A bad day can be completely fixed with a good curry and some naan. I am married to an Italian and my brother is married to a woman from Greece. We have many ethnicities in our family other than these. I love a few things of the Greeks such as Baklava and I also love Tzatziki. I love in the Italian foods many of the pastas especially lasagna and I also love a specialty dish called Spinach Rotolo. Southern food can’t be beat–fried green tomatoes, chicken and dumplings, fried chicken…I could go on and on. Comfort food at its finest! Currently my fave food it’s anything on a plate of tef bread. That is Ethiopian, baby! You tear off a piece of bread and use it to scoop up whatever amazing goodness they stacked on your plate. I was just recently introduced to Greek food by co-workers, now I can’t get enough! Where has Greek food been my whole life? Italian food has always been my favorite ethnicity of food, but Greek is closing in! I love all food! If I had to pick a favorite dish it would be a Filipino dish called tocino. It is a fried sugar marinated thinly sliced pork served with steamed white rice and mango salsa. My mouth is watering just thinking about it! I’m hungry now!! You are only other person that I have heard of that likes Tabouleh too! I love the stuff. Around Baton Rouge, my co-worker and I eat at one of our local Greek places “Serop’s” every single Friday because I just LOVE Greek/Lebanese food! I would love to have the cookbook because I’ve tried to make a Tabouleh before and I can’t seem to get it right! I’m excited to try it to see if I can get it right. I hope so! But if not, I’ll keep buying it by the quart from Nabeel’s. I’ve rarely met a food I didn’t like, but French or Mediterranean food really gets me excited. I’d have to say Mexican food is my favorite. I’ve been lucky to be able to eat many an authentic meal…just thinking about but makes me hungry:). But I’d love to cook Greek and Italian for my family! My nemesis is cockroaches. You probably don’t know of these things. They’re much worse than snakes. But they’re the stuff of nightmares – I promise. I love Latvian food – it’s grandma’s cooking, so of course it’s my favorite! I love Polish and German food but our whole family likes Italian! i like italian of course. but i think my favorite ethnic food is gyros. we used to go to a genuine gyro place in chicago when i was little when we visited my mom’s family. i WISH i could go there and have those gyros again. man. i am salivating right now just thinking about them. once last year i even google mapped it and found the actual restaurant! My favorite food is FOOD! I love most foods, as a kid I was the pickiest eater ever, and people who have known me my whole life are so proud of me for eating my broccoli, onions, tomatoes, etc. now. lol. I have to say, I love greek food, however I don’t get to eat it much because my husband has the palette I had as a kid! Every year there is a street fair and the local Greek Orthodox Church arrives and serves DELICIOUS Gyros and loukemades (sp?) This year I bought two, one to eat there and one to take home and enjoy later, only later when I got home my dog jumped up on the couch (where I rested my gyro to run to the restroom) and devoured the whole thing. Needless to say, I was UPSET! but couldn’t be mad at the guy, If I love them so much, he must have thought it was heaven in a pita! I’d say that Indian food is my favorite type to eat. So many different flavors, yummy vegetarian and carnivorous food. And the bread! Naan alone is worth eating Indian every day. My fav food….well, that is so very hard bc I like so much food! It depends on the day of the week and the occasion:). BUT I do own tons of cookbooks and I always read a new one from cover to cover! I can only imagine how enjoyable John’s would be!! I think I like all food. : ) But today I’ll say my favorite might be Thai food because it uses lots of coconut milk and curry. Mmm, Greek, Mexican, and Italian! And American for breakfast and dessert. I love Greek food. There is a restaurant in my home town of Fredericton called Dimitri’s which has the most amazing Greek food. I was transferred to a city about an hour away from Fredericton 2 years ago for work. Whenever we make it back home, for a visit, Dimitri’s is always on the list places we must go. I enjoy many foods. I grew up eating Southern staples and Chinese foods, but lately have been eating a lot of Pitas and falafel and hummus. Yum. Mexican food is my favorite ethnic food hands down. In fact I made tamales for the first time a few days ago and they were amazing. I cannot pick my most favorite ethinic food. There are several. Mexican, Italian, Greek. Love Chicken Bryan at Carrabba’s, love tacos, burritos, quesadillas and sopapillas, love tabbouli and stuffed grape leaves and anything with lamb. I love Lebanese (or really any middle eastern) food the most! I grew up eating Fatayer, Tabbouleh, Kibbeh, Hummus, Lebanese Rice, Baklava, Chicken Hearts, Markouk, etc… It’s my favourite comfort food…and it’s kinda close to Greek food, too! My favourite Middle Eastern cookbook was given to me by my Grandmother (Ukrainian, married to my Lebanese Grandfather), and it’s completely falling apart, but I will never get rid of it! Czech foods are now a treat we hardly consume. :( We live too far from the city and I married into a rural family where meat & starch rule. Very rarely do I make some favorites – roast pork, saurkraut (my mom’s recipe will change anyone’s view on the food) and baking powder dumplings that are boiled (probably gross to everyone else – I will concede). That all being said, my husband knows that if he wants to make me happy he needs to take me to a Greek Diner – if it has a rotating dessert display than all the better! To be honest I have never really tried true ethnic foods but my husband has had Greek food in Greece and has raved about it ever since so I want to try it too. From what I do know about Greek food it sounds sooo good. Unfortunetly, I love all kinds of foods. I wish I had a favorite and then I could limit myself to that. I love Mexican and Chinese. I love anything with a little kick to it, but not too much. I don’t like my food to hurt me. I love good old American cooking-casseroles, stews, soups, vegetables. I love Thanksgiving food-dressing, sweet potatoes. I’m sure I would love Greek food, but I know nothing about it. Although I did try hummus (is that Greek) a couple of days ago and really liked it. You should have a Greek food tour and invite all your bestest blogging friends (hint, hint) and we could just tour the Bham Greek food scene and then blog about it. Hmmmm???? That sounds fun!! Now if only I had the time to put that together…but I shall keep it in mind! Oh my! I must, must get this book because I LOVE Greek food and I LOVE Italian food. Put it one cookbook? Heaven! I love dessert. Any kind without fruit… Preferrably, chocolate, carmel, and peanut butter. I like Mexican food too! Ooh I’d love to win! I find restaurant cooking is never as good as homemade, but perhaps I’m just not going to the right restaurants. I’d love to try these recipes! If I had to pick something, I’d say my favorite type of food is Mexican. Although I’m a sucker for anything with seafood. Thanks! This was a precious story. I love that place where I feel at home. It’s like Cheers. Everybody knows your name. Congrats on getting a signed cook book and getting to give one away! Good luck to the winner! My favorite food is anything that’s fresh and even better, local. When I arrive in a new town I ask taxi drivers and front desk people where to find “fresh” food and that request has never steered me wrong. It crosses ethnic and cultural lines to direct me to delicious food prepared with care. 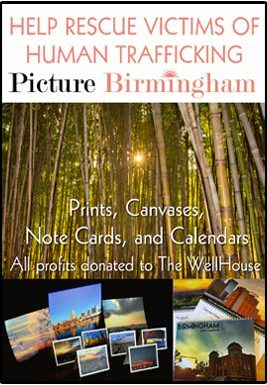 How fabulous that this is a local, family run business using a local photographer and distributing a cookbook through local sources!! I would LOVE to be the winner -and I confess that I love to read cookbooks! Love Nabeel’s! We would stop by there for food and take it to Homewood park to eat.